A new study could shed some light on a bizarre "hum" that appears to be coming from deep within the Earth. 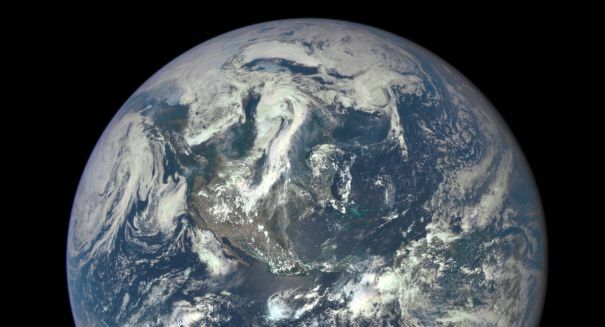 The Earth is singing, or at least humming, and scientists aren’t really sure why. However, a new study could lead to a breakthrough in understanding this bizarre phenomenon, and the answer to this riddle could lie within the ocean depths, experts believe. This deep hum has been known about by scientists for quite a while, and researchers have theorized that it has something to do with how the Earth regularly expands and contracts. But a new study narrows down the source to the ocean waves. The study, published in the journal Geophysical Research Letters, is significant because it is the first time scientists have successfully captured this hum under the ocean waves, which had been difficult to do in the past because of background noise from earthquakes and other ocean sounds. Scientists haven’t cracked the code yet, but this new breakthrough could help them get closer to the source of this mysterious noise.